Find our round-up of the best hair styling products for men. With so many men’s hair products on the market, it can be hard to know which ones really work. But we don’t want to waste your time: we’ve created a round-up of the best hair styling products for men, to help you keep your style game on-point. If you want to know which products we recommend, (plus, get stylist tips from Unilever Creative Director and Head Stylist Dan Lynes on how to use them to create some of the most popular hairstyles out there) keep on reading. Why? 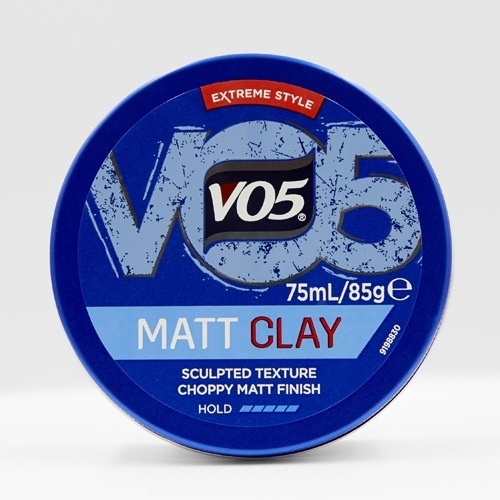 : This tried-and-true VO5 Matt Clay is a universal favourite for a reason. It has a matte finish, is easy to wash out and can help you control thick hair, too. Whether you want who achieve a perfectly-undone look, boost the thickness of your strands or tame them, you really can’t go wrong with this sculpting clay. Who is it for? : Styling shorter cuts like the French crop/Caesar cut. How do I use it? : To give an undone edge to a strong Caesar cut or French crop, use some clay to enhance texture and hold your style in place all day. Why? 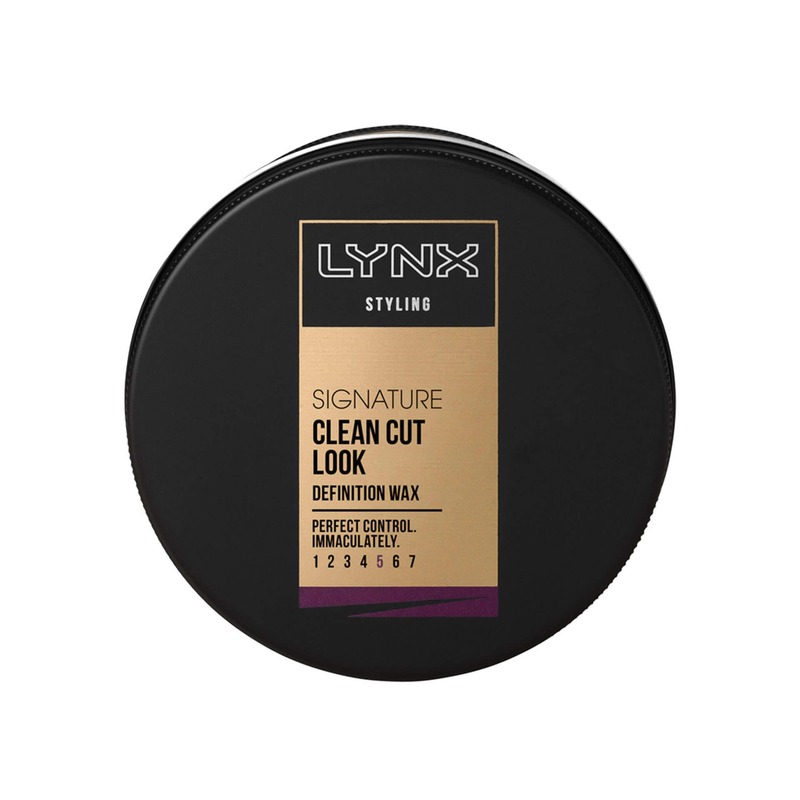 : A styling wax, like the Lynx Signature Clean Cut Look Definition Wax, is ideal for sharp structured styles with a clean cut, modern feel. The best part? It also has a long-lasting hold. Who is it for? : Short/medium hair. 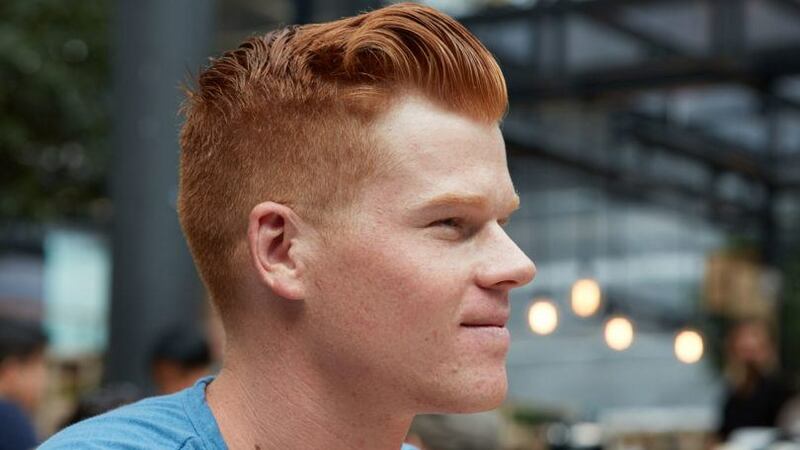 It’s great for creating styles like the pompadour. “A pompadour needs a waxy formula to help add lift and grip so that it can withstand everyday British weather, ” says Dan Lynes. How do I use it? : Warm a of the product in between your hand and rake through your hair. Add more product if needed but remember to start out small and then build it up. Why? 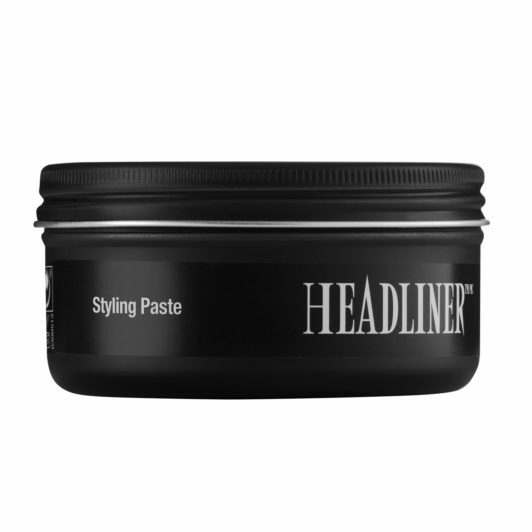 : A good paste will you get you a long way, and the Bed Head Rockaholic Headliner Styling Paste is a great one to invest in. Who is it for? This product is designed to help you shape, define and enhance all kinds of hairstyles, all without making your mane look like it’s too done up. Recommend read: Find the best paste for your hair type. Why? : Looking for hair styling products for men that’ll give you that classic Don Draper look? 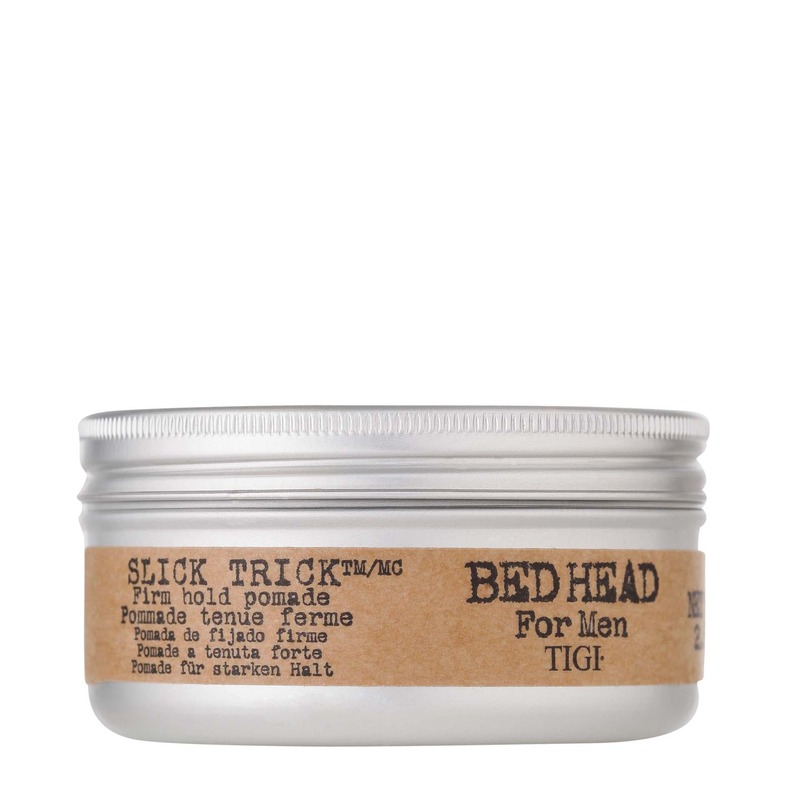 Then, you’ll need to get your hands on the TIGI Bed Head Slick Trick Firm Hold Pomade. Who is it for? : Anyone that loves long-lasting hold and a dapper high-shine (don’t worry, this product doesn’t feel stiff or look too greasy, thanks to its nifty formula). How do I use it? : Just check out our how to use pomades article for our top tips. Why? 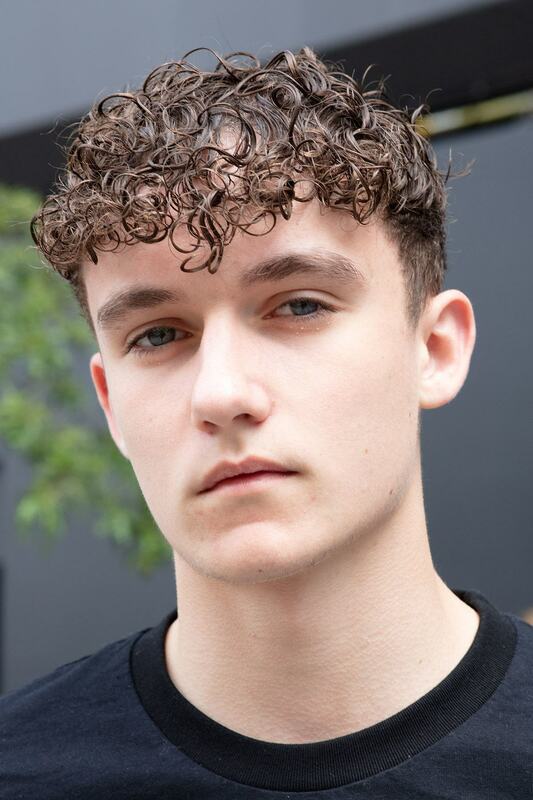 : When it comes to hair styling products for men, a sea salt spray is behind most of the lived-in, bedhead hairstyles you see on the catwalk. Who is it for? : Medium/long lengths and fans of texture. In our books, if you’re after a product that will give your mane that cool, messy effect, the TONI&GUY Messy Salt Spray is the best one to try. How do I use it? : Spray it evenly from root to tip on damp or dry hair, messing it up with your fingers to get maximum texture and body. 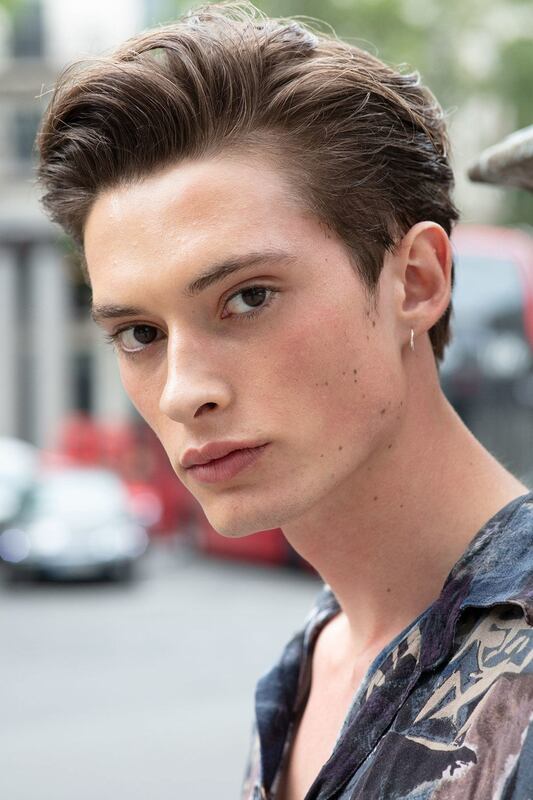 Hair hack: “The best way to create a strong quiff is to use a little sea salt spray through towel-dried hair. Then use a comb to build the quiff shape as you blow-dry. The heat from the hairdryer will help to set it in place.” says Dan Lynes. Why? : Not only is the VO5 Mega Hold Styling Gel ideal for all haircuts, it also offers long-lasting hold and features AquascreenTM, so your style can put up with whatever the weather throws at it. Who is it for? : You can use a hair gel to help you style a mohawk or a faux hawk. It’s great for any style that requires strong hold. “To style a mohawk, you need to use a product with a thicker consistency, like a strong-holding gel or gum,” says Dan Lynes. How do I use it? 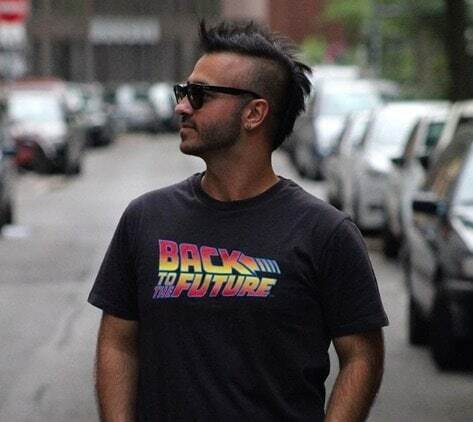 : “A fauxhawk (or ‘fohawk’) needs a little more work than a classic mohawk, so use either a mousse or gel, dried into the hair to help sculpt the shape. Follow by applying a sculpting powder to give your hair hold without leaving a ‘producty’ look,” says Dan. Why? 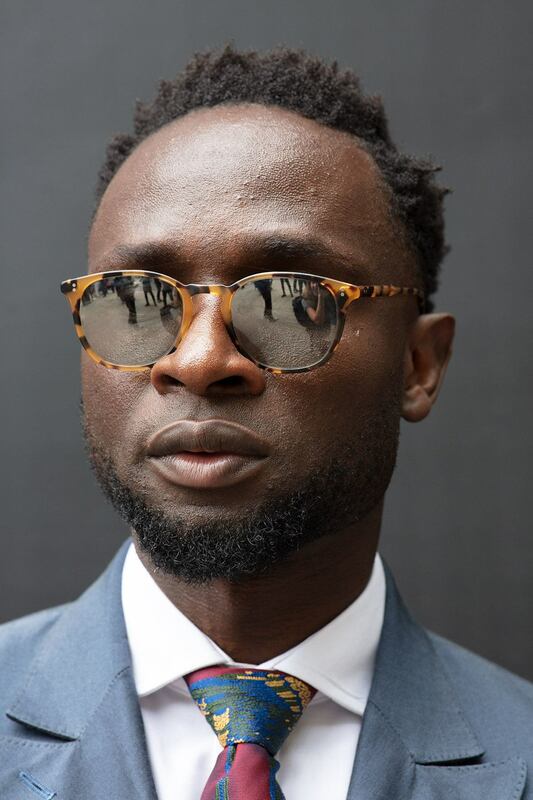 : Don’t want to worry about your dapper ‘do falling out of place? 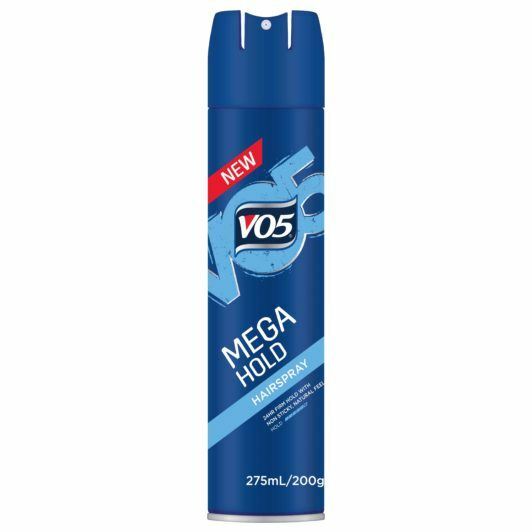 The VO5 Mega Hold Hairspray offers a firm hold with a non-sticky, natural feel. Who is it for? : Anyone that wants a product that they can rely on keeping their hair to stay in place. How do I use it? : Shake the can, hold 30cms away from your hair and then spray evenly to fix your style. Alternatively, you can spray onto a brush or comb and work it through your mid-lengths and ends. Why? 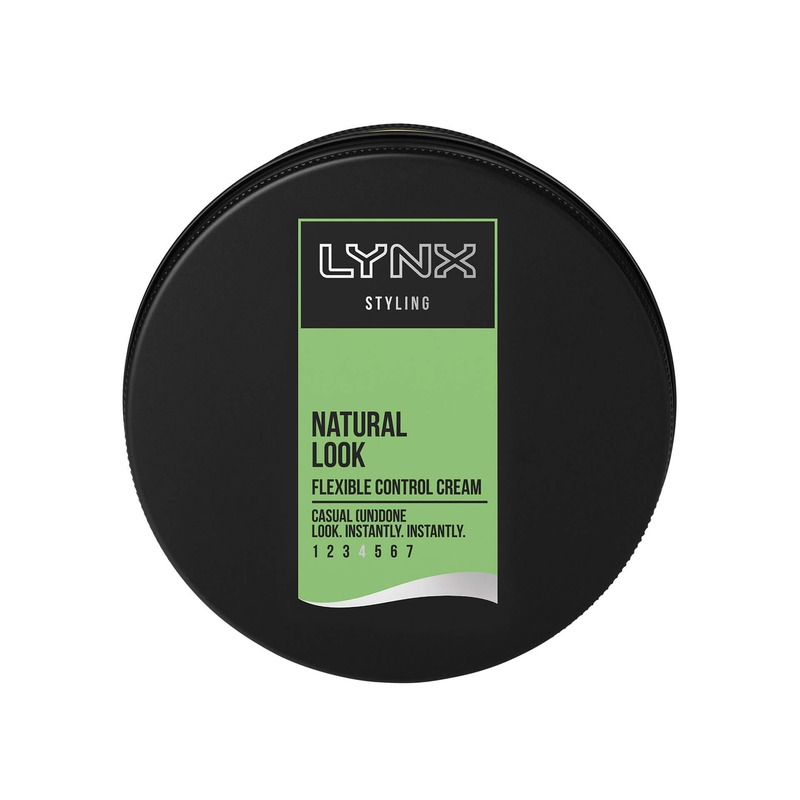 : Hair creams like the Lynx Natural Look Flexible Control Cream can give you flexible, light hold and are ideal for those with mid-hair lengths, as well as defining naturally curly or coily textures. Who is it for? : Stylers that love light hold and curly or afro hair. “Oils and creams work best on afro hair, as that hair type needs products that will soften and can easily be distributed through the hair,” says Dan. How do I use it? : This styling product works best on dry hair but you can use it on damp or towel dried hair too. Just use a hair dryer to create soft lived-in textures. Recommended next read: The best black men’s haircuts to try in 2018.
Who is it for? : Whether you’re contemplating growing out a beard for Movember or already sport one that’s worthy of an award, it’s important to keep it looking its best. How do I use it? 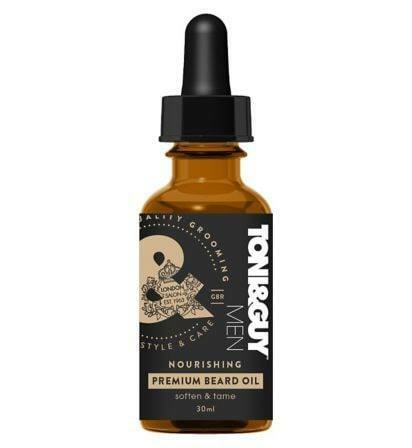 : Work 2-3 drops of the TONI&GUY Nourishing Premium Beard Oil into your beard. Trust us, this moisturising oil soothes and tames, leaving your beard feeling fresh and looking groomed, too.